Born and bred down I-70 from Strange Music in the grit of East St. Louis, Darrein Safron has lived a life steeped in music, born into a musical family and accomplishing such feats as performing at the Apollo at the mere age of 11. Inspired by Motown, Safron is capable of both evocative R&B vocals and lacerating raps. Coming to label attention through his collaborations with Strange Music emcee Stevie Stone, Safron signed to Strange in 2015 and hit the ground running with “Real With Yourself,” Safron’s debut track from label-wide collaborative album Strangeulation Volume II. 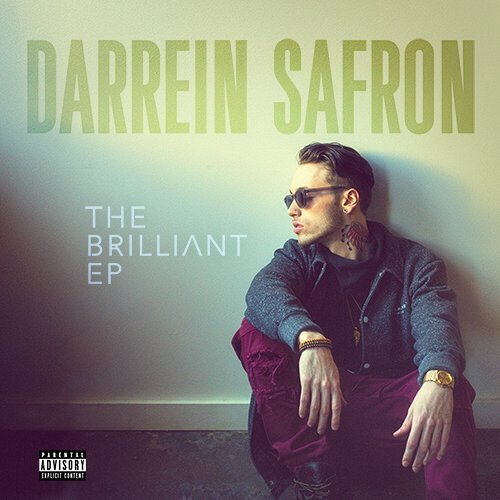 He has since released The Brilliant EP and can be heard on collaborative tracks like “Get Off Me” or “Reloaded.” His crisp flow and swagger a testament that Darrein Safron is not just a singer nor just a rapper – he’s the future.